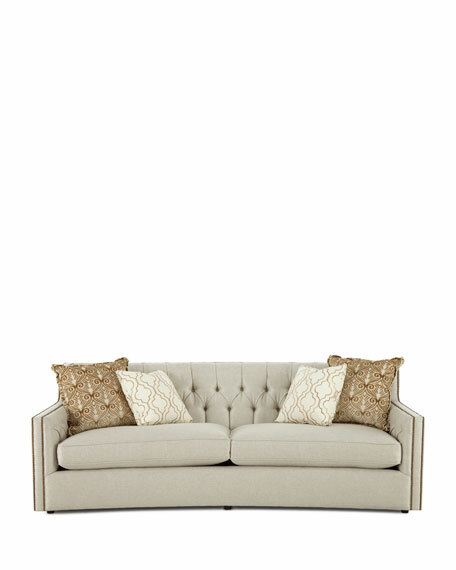 Bernhardt Candace Tufted-Back Sofa 96"
Refined ivory upholstery of polyester. Tufted detailing along interior back and arms. Includes 2 22"Sq. and 2 21"Sq. printed pillows of acrylic, polyester, and rayon as shown. Weight, approximately 190 lbs. Boxed weight, approximately 195 lbs.